Many mobile users nurtured hopes for the rapidly evolving industry, especially in the matter of ​​battery life. Every mobile user knows what it’s like to worry about battery life and have it expire at the worst possible time. The mobile world is very dynamic. But for some reason, charging methods remain old and inconvenient, as annoying long cords lying in working spaces and living rooms do not make for a nice charging experience. One of the reasons mobile users support wireless charging is to become unbound by cables. Most people own multiple electronic devices, each of which must be charged individually with its own charger. This takes time and patience. Just to clarify, we have good news for you. Wireless charging technologies designated to charge your mobile devices are expected to gain real traction in the next year. Advanced hi-tech companies are working on improving wireless charging experience in the mobile industry. Partnerships between wireless charging brands and coffee places like Starbucks have made it accessible to charge ourdevices while having coffee outside. However, since Starbucks wireless charging stations use inductive charging technology, the charging experience is not 100% wireless and mobile; it requires an accurate placement of the mobile device on the charging pad (and often a special case), and the smartphone cannot be used while charging. umavox’s new wireless charging technology, based on radio frequency (RF) harvesting, is making it possible to charge our mobile devices in wireless charging stations that require no actual plug-ins and can even charge from few meters of distance. 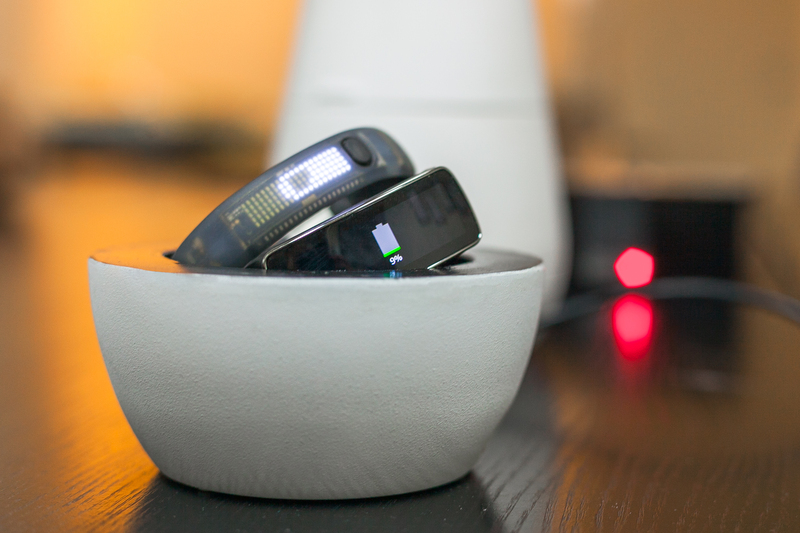 And in the near future, we might simply toss our mobile devices into a charging bowl (such as Humavox’s NEST) and have it charged overnight, without having to plug the device into a cord or charging pad. These innovations will undoubtedly change the mobile industry dramatically. There will be no more fighting over a place near an outlet on the wall or worrying about getting through the day with no battery. In the near future, wireless charging stations will be everywhere: coffee shops, airports and even Wi-power zones in the city streets. Prepare yourself for a change because the wireless charging vision is slowly becoming a reality. Visit our website to learn more about Humavox technology and its effect on the wireless charging industry.